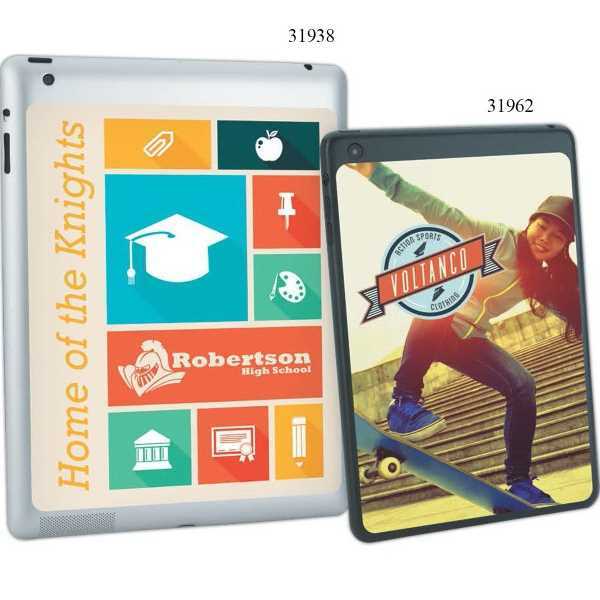 Tablet skin. Repositionable adhesive backing. Does not leave sticky residue. Fully customizable. Sized for iPad® and iPad Air®. Size: 6 " x 8 "